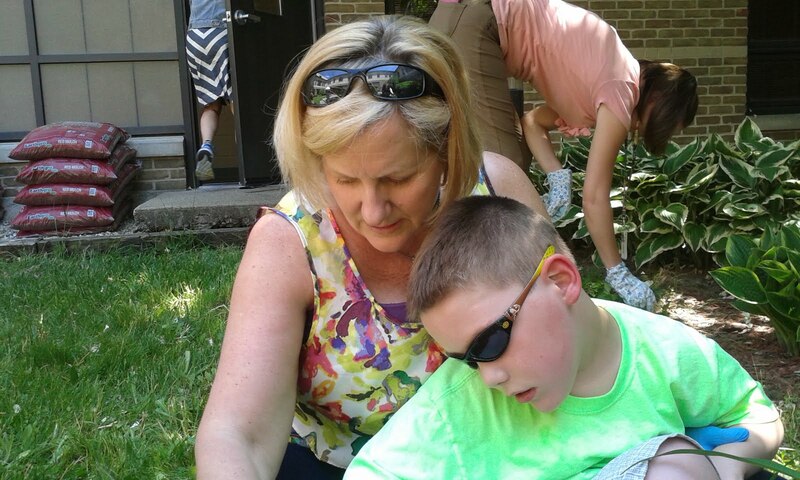 It was a work week for Cam at school when his class participated in community services projects outside on two different days. He helped Ms. Kathy pull weeds and reminded his parents to apply sunscreen both mornings. Saturday morning, Cam awoke early and was more than ready to head up north to see Oma and Opa! With blue skies above and warm sand in our toes, the breeze was a welcome change from the recent humidity. Every year the landscape of the Lake Michigan shoreline changes, sometimes subtle and other times, abrupt. While venturing north, we came across some "suspended" steps that were held up by sand last summer. Now, they lead to air versus land. Surprisingly enough, Lake Michigan was not its usual bone-chilling temperature for late May, but actually felt fairly decent. Oma and Jane were able to comfortably walk in the water and Cam liked it splashing on his feet and legs. Chris took things one step further, or a quite a few steps further literally, and took his first swim of 2016! We had a delicious dinner with Cam's grandparents and an awesome visit with cousin Steff and her boyfriend, Heath. 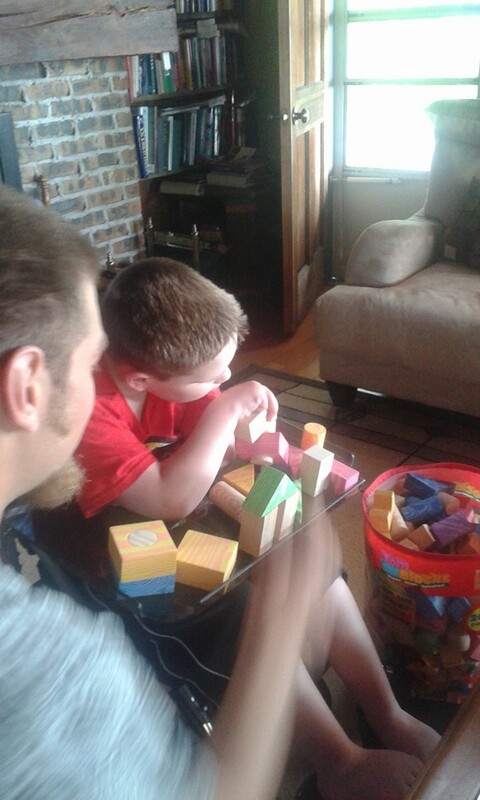 The two builders are shown here creating a new housing project. We look forward to many, many more beach days feeling the sand in our toes and the wind in our hair leading to the inevitable outcome of smiling faces and lots of laughter! It's been said on more than one occasion that Cam takes after his parents in more ways than one. Jane is convinced, though, that Chris has been giving their son some extra sweet pointers. Mom- "I sure do love you Cam." Cam- "That warms my heart when you say that, Mom."